Cash Purse for 944 Spec - PIR Dec 17th & 18th!!!! Just got in this Email from Joe Vaccaro! We will be hosting our normal HPDE and Racing groups with some extra track time allocated during the weekend for all groups. In addition, we have some special offers for the Holiday Season! All race classes with 5 or more cars entered will automatically receive two $50.00 gift certificates in NASA Dollars which will be raffled to the drivers in that class. Any MAZDA Spec Miata or Pro 7 that races this weekend will receive $229.00 in NASA Dollars which will be redeemable for any NASA-AZ event in 2006. 944-Spec and Honda Challenge drivers can look forward to a CASH PURSE of $250-1st Place, $150- 2nd Place, and $100 3rd- Place for the Saturday Points Race. Purse will only be paid out with 5 or more cars in class. Norm H? Darren G? Jon A? Maybe even a few SCCA folks and So cal folks. Gee, that $250 might almost cover my costs to get out there and stay? $200 in TOYO TIRES money, if I win both days. $250 from the Saturday purse for a class win. $50 gift certificate for 5 cars in class. Maybe a discounted entry for travelling from SoCal? Maybe I could sell my 7 x 15 BBS wheels to an SCCA Spec 944 racer while I'm out there? Ok... so which So-Cal (or nor cal) guys are making the trip out race with us? 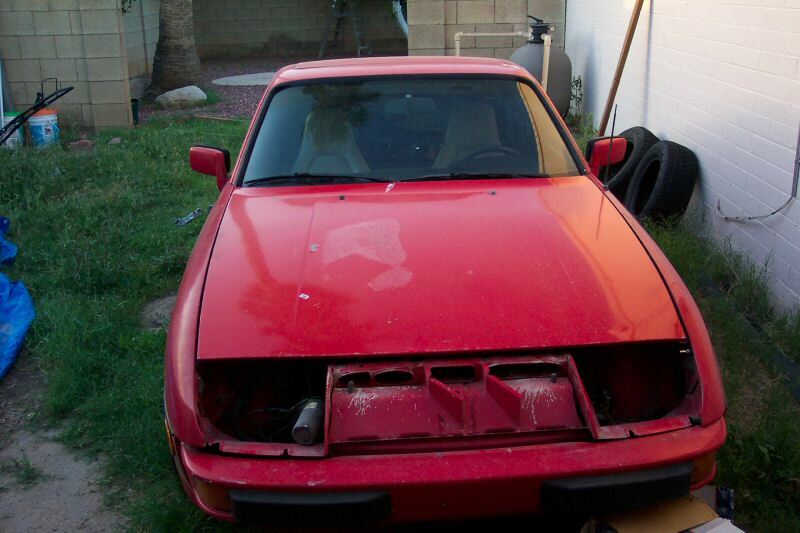 If you want those 924S body parts let me know. I will need to pull them off the parts car and toss them in the truck to the track. You can decide for sure after seeing them at the track. I will be there for Saturday! With no confirmed place of residence (STILL) and 7 days until leaving for NY, I can't do it! Wish I could, I REALLY enjoyed myself at that track (PIR). Keep an eye open for the ConspiracyEight.com 944 Spec race car to be on the sale block soon. Financial responsibility mandates my parting with the 3 out of 4 Big Track (with POC), track record holding '88 flyer. Remember, it's all '88 advantage, not the driver what-so-ever! Please forward your interest in the black and yellow Thunder from Down Under! That's the car, not me! Glad to see you are coming out. You could run Sunday too. We would love to have you! 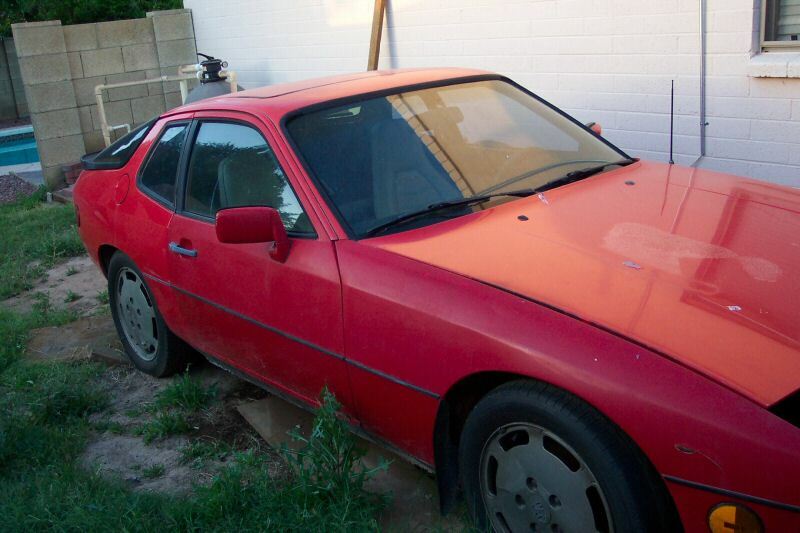 Joe, The 924S fenders need to be really nice. I don't want to do body work. Don't really know how. How much are we talking for the fenders and valence? The are all red and straight. Left side is perfect. Right side came from an 2.0L 924 based on what a PO of the car said and has a chip in some previous bondo work. They would need paint unless you want faded red. Here are some fender pics. left one is nice and straight. Right one is good, but has that one spot. Both would need black paint. Probably not worth it to ship, but If you are making the tow out then bring them back should not be hard. They look straight to me TC. Alright, I'm shooting for being at the track Sunday. Wish I could make Saturday to make sure you guys have the 5 necessary (in case one of you 5 break before the race, hope not --knock on wood), but need that day to look over the car. While I have started it once a month religiously over the past year or so, I haven't actually ran it anywhere (tough when it's up on jackstands). Started it tonight for about 5 minutes and it seemed ok, but we'll see. Glad to hear you are giving it a shot. I think you mean contact Joe Vaccaro right? Joe, Looks like I'll have to stick around local this weekend. I had to decide yesterday and there weren't enough of the variables lined up to make a go of it. Truck and trailer was the biggest thing. Hit up the SCCA guys for extra track time. Norm Hamden? Alrighty, registered and good to go for Sunday. Can you guys try to bring a digital camera and get some pics of the cars and drivers to fill out the website? I want the guys on the East Coast who are interested in building our great class out there to have a super cool site to refer to! I know for a fact that it makes a big difference when they see ALL those pictures of our cars! We need to replace some of the driver pics because they are unclear or whatever. Just a clear shot of the head and chest is all we need. 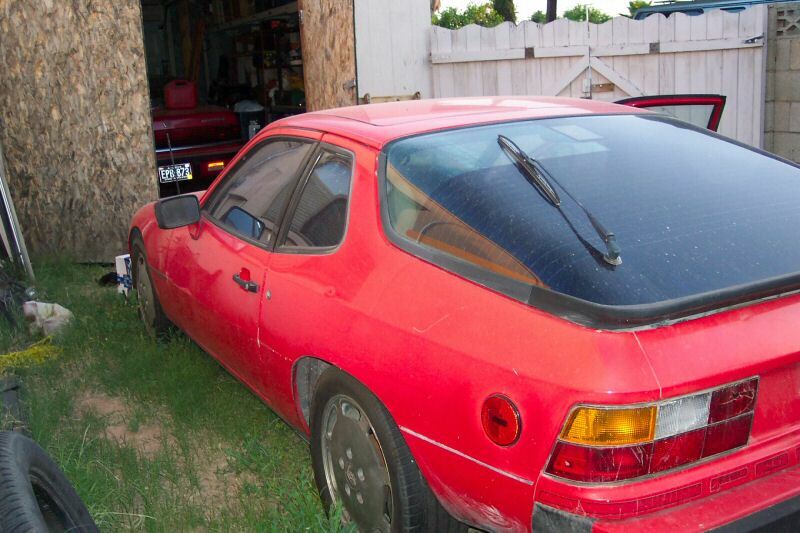 Let's build this 944 spec thing into a National Class! Sorry Tim. No photos allowed here. Some of us don't want to be recognized. (until we start catching some people on the track ) It's better being unknown.